The nectarines that you see in your local market from January – March come from Chile, which is in the heart of it’s summer during our winter. 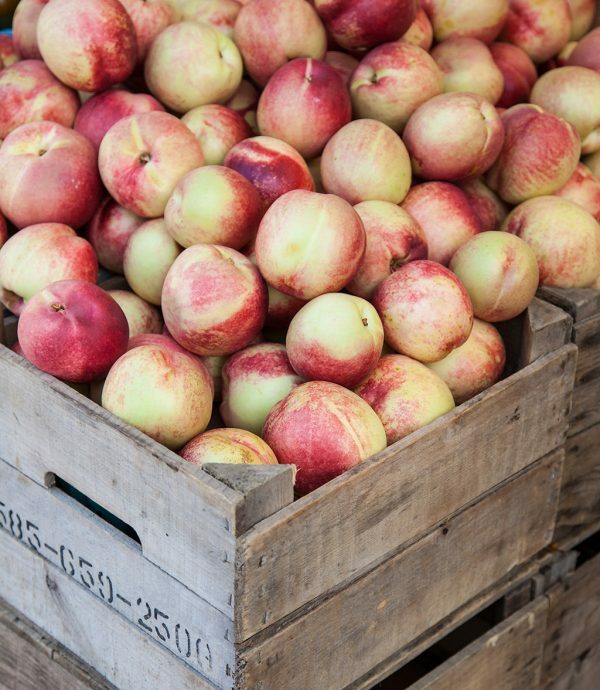 You’ll find local, Ontario-grown nectarines from mid-July to the end of September. To pick ripe nectarines, look for slightly firm but not too hard fruits that have a sweet nectar aroma. Avoid any that are bruised, cut, or have a green colouring near the stem. Nectarines range in colour and can be anywhere from a light yellow and cream to a reddish-yellow. The blush or colour of a nectarine does not indicate ripeness, but is a way of identifying the variety. Look them over thoroughly for soft spots or bruises. Never refrigerate nectarines, especially before they’re fully ripe. Chilling them before they’re ripe results in mealy, flavorless fruit. Instead, leave them on your counter at room temperature. Want to speed up the ripening process of your nectarines? 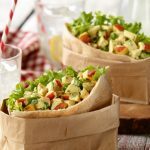 Place them in a paper bag, poke a few holes in the bag and leave them on your kitchen counter (at room temperature) for a few days. If you really want to speed up the process, add an apple to the bag. Once ripe, nectarines will keep in the refrigerator for a week. Wash nectarines just before you are ready to eat or cook with them. Then cut your nectarine lengthwise around the stone (follow the natural seam around the fruit) and gently twist both halves in opposite directions to separate them. If you can, pop out the stone. For clingstone varieties, you may need to cut around the stone. The best method to do this is to cut slices around the stone and gently pluck off the slices. To remove the pit from the last remaining piece you may need to simply trim around the stone. To prevent browning, simply coat sliced nectarines with lemon juice or fruit preservative immediately after slicing. When you buy a ton of nectarines, take advantage their abundance and freeze fresh nectarines so you may enjoy them at a later time! You can freeze nectarines sliced, crushed, or puréed, but you need to preserve them with some sugar or syrup in order to keep the fruit from oxidizing or drying out in the freezer. 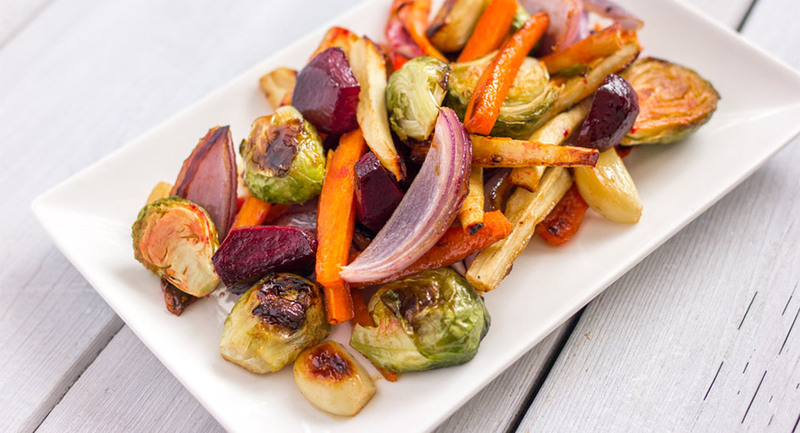 Check out the National Center for Home Food Preparation for details on this page. To remove the pit, cut all around the fruit at the seam and give it a twist. 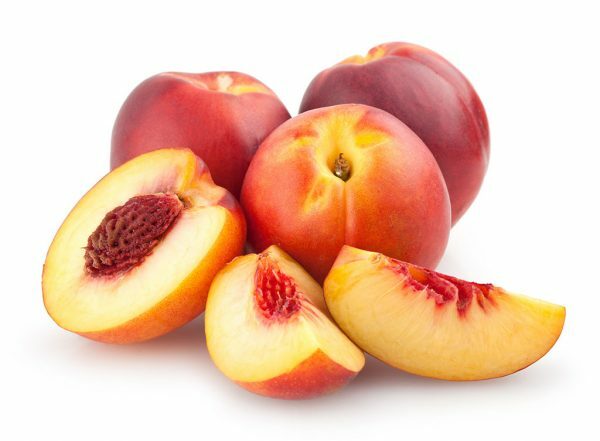 Nectarines will discolour quickly after being cut, so if you aren’t combining them with something acidic, such as lemon juice or salad dressing, quickly dip the fruit in water with a squeeze of lemon and drain well. Sniff a nectarine for ripeness. If they are ripe, they’ll smell like sweet nectar. For the most flavour, nectarines are best enjoyed ripe, at room temperature. Don’t be afraid of firm nectarines! Unlike peaches, nectarines are typically a little firm when ripe. They can be just as sweet as a juicy peach! Preserve delicious nectarines by making your own freezer jam! It’s easy and you can create beautiful blends that you could never buy in the store. 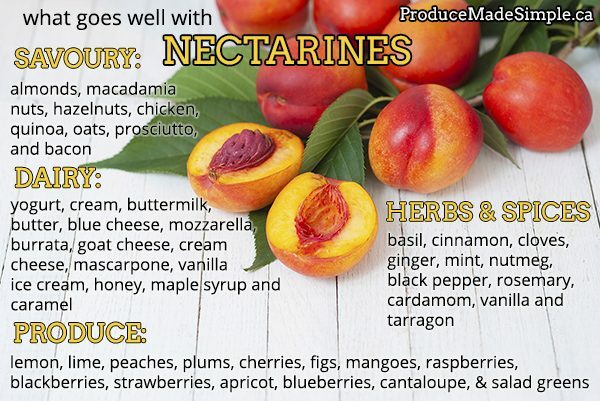 Use nectarines to add sweetness to smoothies, oatmeal, etc. 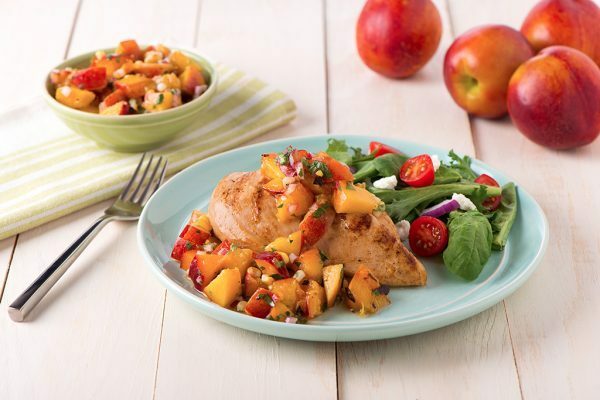 Try Peach and Nectarine Tagine. This classic Moroccan stew is an eye-catching and flavourful dinner dish to add to your rotation! 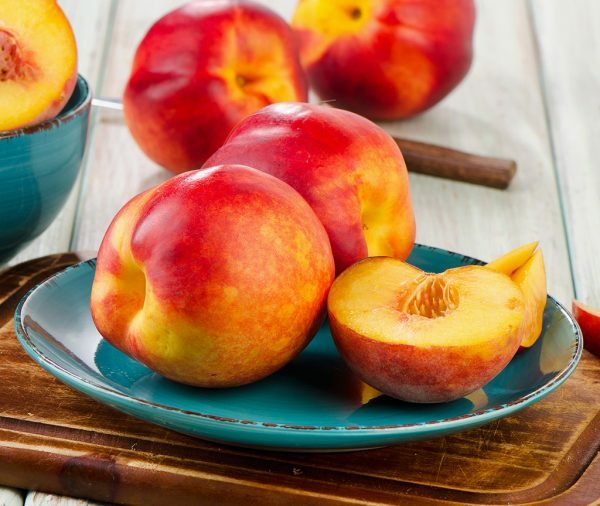 According to the Canadian Nutrient File, 1 medium nectarine (136 g) contains a great number of your daily-recommended intake of nutrients: only 70 calories, 15% of Vitamin C, 9% of fibre (2.3 g), 8% of potassium, 6% of Vitamin A, 5% of magnesium, 4% of Vitamin K, and 177 µg of antioxidants lutein and zeaxanthin, and 133µg of antioxidants beta cryptozanthin.